Mahale Mountains is arguably the best place in Africa to see chimpanzees. There are several lovely lodges on the lake shore and visitors can go out chimp tracking every morning. 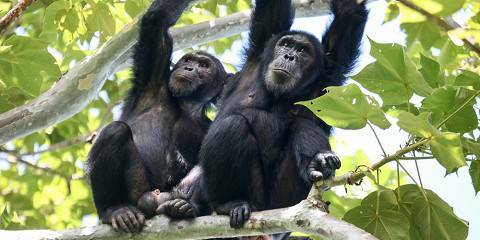 The chimps are habituated and go about their business as if you’re not there. Although you are meant to keep a distance, the chimps don’t always stick to this rule. On several occasions a chimp brushed against me while walking past on the narrow forest trails. The park is very remote and the only way to get there is by small aircraft and boat. Once there, the setting is like something of a Robinson Crusoe tale. The water is crystal clear and the forested mountains tower over the deserted beach. Other activities include bird walks, fishing, forest and waterfall hikes and dhow trips on the lake. Although not a classical safari destination, chimp tracking in Mahale ranks to me as one of the top wildlife viewing experiences in Africa. With sheer sided mountains covered in forest tumbling down to gold sand beaches and the turquoise beaches of Lake Tanganyika it’s hard to think if a more impressive setting. In fact were it not for the fact that swimming is banned off the beaches due to the chance of becoming a crocodiles lunch then Mahale Mountains would work just as well as a beach break getaway as a wildlife watching destination. In most ways I loved my four days here and the hour a day I spent with the chimpanzee’s were some of the most magical moments I have ever spent with any animal. Occasionally the chimps seem to register your presence and give you a long, curious glance, but most of the time the chimps act like you’re not there and will almost brush up against you if you happen to be standing in their way. For wildlife photographers it’s near perfect (particulay when the chimps climb higher up the mountains to where the vegetation thins out somewhat). One tip is give yourself at least a couple of days here. On my final day we ‘only’ found six chimps and they were all asleep in very dense undergrowth. If that had been my only day here it would have been quit disappointing. So, the chimps are wonderful, the setting perfect and the camps highly relaxing and comfortable so what’s wrong with Mahale? Well, chimp visits are limited to one hour (though as I left I was informed I could have paid extra for three hours with the chimps – a real shame nobody told me that in advance even though I had asked) and most of the time you’ll be back at your camp before lunchtime. This meant that for a good part of the day there was actually nothing much to do. As mentioned you can’t swim off the near perfect beaches and whenever I enquired about going for a walk or doing something else camp and park staff were quite reluctant. I had work to do so was otherwise occupied but had I not then I would have been bored for a good part of each day. Getting to Mahale is also either very time consuming or very expensive (and normally both) so while I adored my stay there when I look at how much it ended up costing me I would probably instead choose to go and see chimps in Uganda’s Kibale Forest instead. With its soaring green hills abutting Lake Tanganyika and troop of habituated chimpanzees, Mahale Mountains National Park is often described alongside the more famous Gombe National Park. But, the much bigger Mahale is way more beautiful and remote and by far the more satisfying destination if you can afford the extra time and cost to get there. Because of the hills and the heat, finding the chimps is usually tough work, but because they are completely habituated sightings are essentially guaranteed – and the hour you get to spend with them is sure to be magical. Mine certainly was. I actually managed two chimp encounters in one day because late in the afternoon the troop came down to feed near the lodges. Except for chimpanzees, you don’t come here to see wildlife (though with luck you’ll also spot a leopard, black-and-white colobus, or hippo), but soaking up the sublime lakeside beauty and splendid isolation is almost as wonderful as the chimp tracking. Because of its location, Mahale gets very few visitors: I was one of just five. But despite the low numbers, facilities are excellent. Visitors can also climb and camp on the mountains and Tanganyika’s famous cichlids would make the park a great snorkeling destination if it weren’t for the crocodiles. Almost all visitors come as part of a fly-in safari that combines Mahale with Katavi National Park and often Ruaha National Park too. It’s possible to come by boat, either public or charter, and those travelling independently should try to schedule their visit around the historic MV Liemba. Mahale is an outstanding destination both for close-up encounters with chimpanzees and for the stunning scenery. Forested mountains rise up directly from the lakeshore, and the remote location means that you will likely have your patch of Lake Tanganyika sand to yourself. When you first arrive, the setting is so seductive that the proximity of the chimps can seem almost like an unexpected side benefit; the combination of the two is magical. Mahale's chimps are well habituated. With two to three days in the park, sightings are almost guaranteed, although you may have to do a considerable amount of walking and scrambling up the slopes first. It took our group several hours to locate the chimps, and another group in camp hadn't glimpsed any until their second day trying. For anyone with time and a sense of adventure: travel at least one way to/from Mahale on the MV Liemba (currently running only every second week). This is an absolutely stunning national park in several respects. It is not easy to reach on a budget, thanks to its remote location, but it is highly recommended to anybody who is able and willing to throw money at an utterly unforgettable wilderness experience. Set on the shore of Lake Tanganyika – the world’s longest and reputedly least polluted lake – the soft, sandy beaches here might have been transplanted from an uninhabited Indian Ocean island. 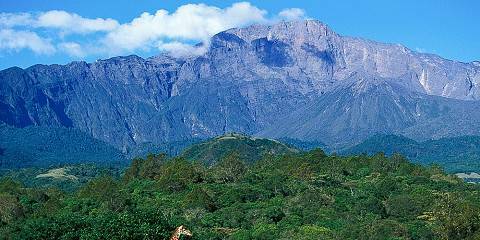 Above the lakeshore, a forested stretch of jungle-swathed Rift Valley escarpment rises to the lofty 2,460m peak of Mount Nkungwe. But the main attraction is the park's chimps, which number around 1,000. 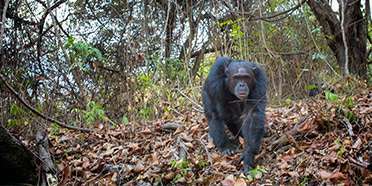 Indeed, Mahale is possibly the best place in the world to track wild chimpanzees, with the 60 individuals in the Mimikere Community, which was first habituated to visitors in the 1960s, being just as approachable as their counterparts at Gombe. Other forest primates likely to be seen are yellow baboon, red-tailed and blue monkeys, and red colobus, while birds include the dazzling Ross’s turaco. And swimming in this astonishingly clear lake, with the forested peaks of Nkungwe looming almost 2km higher, is an utter delight. Mahale National Park is so remote, you can’t even get there by road, but have to arrive by boat from the small town of Kigoma, just a few miles from where Stanley uttered the immortal words “Dr Livingstone, I presume”. The forested Mahale Mountains rise up spectacularly from the shores of Lake Tanganyika , with the coast of Congo visible in the distance. The lake is as clear as mineral water, so clear that on one boat trip I looked down and saw a hippo walking along the bottom. The incredible beauty of the lake with its white beaches, and the verdant green forest, would be reason enough for a visit, but the main drawcard here is the chimpanzees. Like better-known Gombe Stream, Mahale has been home to a primate research project since the 1960s, this one run by a team of Japanese researchers. This means that the chimpanzees, while still totally wild, are somewhat habituated to human visitors. It was worth the steep climb into the forest to catch up with a group of them playing on the pathways or crashing through the trees, and I’ll never forget the frank, inquisitive gaze of a baby chimp looking up at me as I caught up with his group in a pool of sunlight in a clearing. Amazingly, Mahale is accessible to adventurous budget travelers as well as guests of its various luxury lakeshore camps – you can catch a southbound lake steamer from Kigoma and ask to get picked up by boat at the park, where you can stay in modest self-catering huts and accompany National Park guides into the forest to find the chimps. My idea of paradise is returning from a morning’s chimp-watching in the forest and plunging into the cool, pristine waters of the lake. Like being in the middle of a Jane Goodall documentary. Mahale National Park is located on the shores of Lake Tanganyika – a stunning jungle setting, a long way from anywhere. 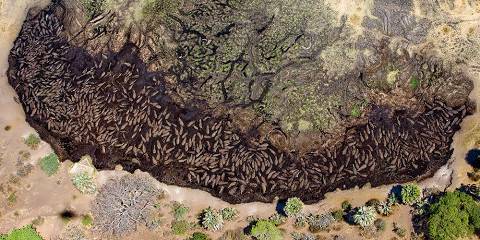 This is one of the best places in Africa to see chimpanzees. It is an expensive trip, because of its remoteness, but I felt it was worth every dollar. I chose Mahale over Gombe as Mahale is bigger, more remote, and with more chimps. The two Mahale lodges offer similar “chimp viewing packages”, and both are located on the lake shore; Kungwe is marginally cheaper than Greystoke. As well as chimps, there is a dazzling array of birdlife and a number of other primate species. But you are here for the chimps, and I was fortunate to have a magical experience. As they sat around me, with the excellent guide explaining what was going on, it really did feel like I was in the middle of my very own Jane Goodall documentary.